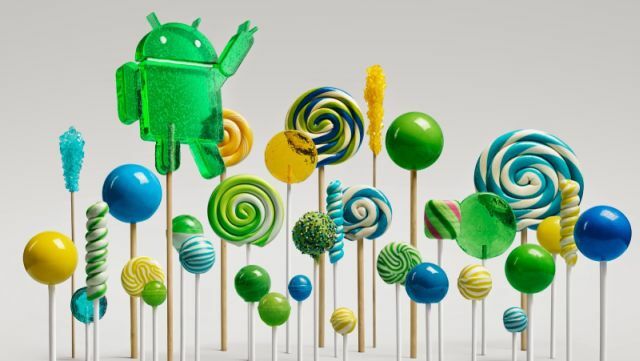 Google has rolled out Android 5 Lollipop, the latest version of Android and biggest update in the series. Nexus 6 phablet and Nexus 9 tablet was also launched along with Android 5 launch, both the devices coming with Android Lollipop out of the box. This is the major update to the previous version Android 4.4 Kitkat and it comes with some cool new features that is not available in Kitkat. Let’s see what are the new features in Android 5 Lollipop. 1.Material Design - Android 5 comes with a new design called “Material design”, that is a new design with a splash of colors, smooth layers, creative animations, shadows and flatter than ever. This makes your device simple and beautiful and different from previous versions. 2. Improved Notifications – You can view detailed notifications on your lock screen and you can interact, swipe to dismiss, tap to reply easily. You have to just double tap on the screen, then it will automatically unlock and launches the app related to your notification directly. 3. Priority Mode – this is also called as do not disturb, with this you can select which apps only notify your phone. There is also you can set duration for priority mode so you don’t get any notifications for that period from particular apps, which is good for meetings or any special events. 5. Guest Mode – This is the feature like Windows guest user, you can add your family members, children as guest users of this phone. You have to just create guest profiles after you can limit the information and they can use the phone without affecting your settings. 6. Better Multitasking – This is one of the complicated thing in previous versions and switiching between multiple apps is not easy. Now it is completely changed and called as overview. You can easily scroll through your apps and get more details with card layout. 7. Battery Life prediction – There is two new changes for battery that shows you how much time it would take to charge your phone and how much time is left before the battery runs out. Also you can view the time until the full charge after the power plugged out. 8. Flashlight – with this you don’t need any third party apps for enabling flashlight option. You can just pull down the notification panel to use the flashlight. For this your smartphone has flash LED button. 9. Quick Chromecast access – you can add chromecast device quickly and cast from the notification panel instantly. There is Google’s official app installed for chromecast with this update. 10. Trusted Devices – This option disables your password of your devices or unlock your phone/tablet when it is in particular range of area. You can unlock your devices automatically if you are in home or your place.